In-store usage is bigger than it’s ever been. Shoppers who are looking to make immediate decisions are browsing reviews for products while in the store to make sure they’re making a good purchase decision. Approximately 60 percent of people who use their mobile devices in stores convert right away. When most people think of coupons, they usually think of elderly people clipping paper coupons out of the Sunday paper. But in today’s world, coupons are fast becoming a way to reach out to younger customers, thanks to the rise in mobile devices and the greater availability of digital coupons. Early estimates from Juniper Research indicate there will be approximately 31 billion digital coupons redeemed in 2016, which would nearly double the 16 billion redeemed in 2014. That’s a tremendous leap forward in a technology that didn’t even exist not too long ago. The smartphone has fueled the growth of digital coupon use, as it has completely changed the way people access information and interact with businesses. Pew Research polls indicate approximately two thirds of people in the United States now own smartphones. The devices have become so important in our daily lives that Americans actually spend more time using their smartphones every day than they do watching television. Basically, mobile technology and constant connectivity means consumers are getting used to getting what they want as soon as they want it, both in terms of information and actual shopping. A Mobile Commerce Daily report indicates 96 percent of mobile users browse for digital coupons to find deals when they shop. These types of coupons are the perfect match for Millennials and younger consumers. The generation comprises approximately 77 million people, making it one of the largest categories of consumers in the United States. 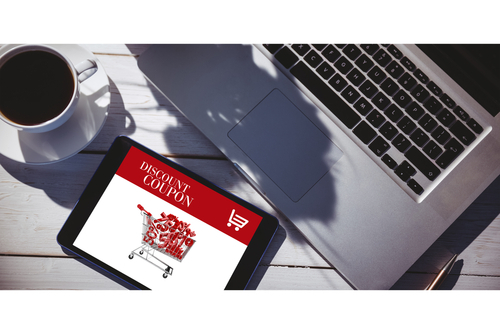 Their connected lifestyle and constant web access makes digital coupons a highly effective tool for attracting them. Millennials have proven themselves to be resistant to the more traditional forms of marketing campaigns. They tend to have shorter attention spans and are the most likely category to seek out special deals or discounts before they shop. They also are the age group that has the largest percentage of smartphone owners (85 percent). They use these devices to make plans with their friends, to make purchases, to research purchase decisions and to stay connected. Given the way Millennials are always looking for deals and rely heavily on their smartphones to do so, companies would be wise to employ digital coupons as a strategy to reach out to younger audiences. For more information about how That’s Biz can help you employ digital coupons as part of your restaurant’s marketing strategy, contact our team today.